So, Sting is NOT in your top 5 of best wrestlers to ever wear face paint? Uh …. really?? Sorry to pull a reverse Watry on you, but “explanation needed”. For those of you who missed it, the Donkster is referencing last week’s column, in which a reader named John D. asked me to list my top five best and top five worst wrestlers who wore face paint. If you don’t feel like clicking through the link, my top five were, from the bottom to the top: Adrian Street, Damian 666, Kyoko Inoue, The Road Warriors, and The Great Muta. Some people speculated that I had just forgotten about the Stinger, but, trust me, the omission was intentional. I actually name-checked Sting elsewhere in answering the question, so it’s not as though he wasn’t on my mind. I just didn’t feel like putting him on the list. There are a couple of different reasons for this. First, the question was about wrestlers wearing face paint, and, in the criteria that I listed in answering the question, I said that I would be considering two things: 1) how I feel about the wrestler as a wrestler and 2) how I feel about the wrestler’s face paint designs. Let’s take the second factor first. When it comes to Sting’s face paint, his use of that gimmick is, in my mind, inexorably linked to the Road Warriors, because the entire reason Sting wears paint in the first place is that he and the Ultimate Warrior (who, oddly, nobody complained about being left off the list) got one of the first runs of their careers as the Blade Runners, a tag team that was one of several in a long line of clones of Hawk and Animal. In my mind, because the Roadies were the originators and Sting was somebody who was inspired by their gimmick, I felt more justified in putting the Warriors on the list in a spot that, if they didn’t exist, probably would have gone to Sting. The answer to that question is yes, Muta did initially take quite a bit of inspiration from Kabuki in terms of his appearance. However, the difference between Muta taking inspiration from Kabuki and Sting taking inspiration from the Road Warriors is that Muta took inspiration from Kabuki’s ideas and elevated them to a higher level, whereas Sting took inspiration from the Road Warrior’s ideas and . . . basically kept them at the same level that they had always been at. There is no question that the Great Kabuki was a bona fide star in professional wrestling, but in the United States he was a regional wrestler who never really quite made it to a tip-top main event level, while in Japan he had a couple of runs in NJPW but, again, was not a top star even though he was memorable. Meanwhile, Muta actually did main event in the United States against guys like Ric Flair and Sting, and he was, at least arguably, the biggest star of the 1990s in in New Japan with Chono and Hashimoto also in the conversation. On the flip side of things, though Sting did have one relatively brief run WCW where he was unquestionably a bigger star than the Road Warriors (I’m talking about 1997 into 1998), the Roadies were much bigger than he was earlier in their respective careers in the U.S., and they were far, far, far more significant attractions than Sting ever was in Japan. On the whole, I would consider the Road Warriors to be a more historically significant act in professional wrestling history than I would Sting. I think that people who grew up watching Sting have a tendency to vastly overrate his importance in professional wrestling history. The Stinger was a pretty hot up-and-coming singles star in the late 1980s in Jim Crockett Promotions as that group transitioned into WCW, but he was never the one who the company was built around. That was Ric Flair. Both times that Sting was going to be coronated as “the guy” it was derailed by unfortunate circumstances, the first being his knee injury and the second being Flair’s departure for the WWF. 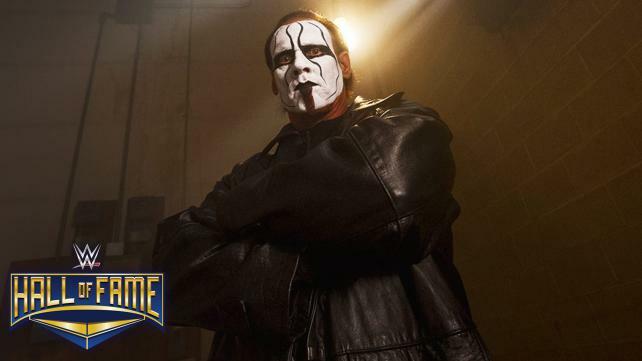 Though WCW continued to push Sting as a main eventer from 1990 to 1995 and he was at the top of their cards, the business that those cards were doing, to put it bluntly, sucked. Sting just wasn’t a big enough star to draw eyeballs to WCW in the early 1990s. When things turned around in the mid-90s, it initially had nothing to do with Sting and had everything to do with the arrival of Hulk Hogan and the Hulkster finally having his dream program with Ric Flair, while Sting was relegated to being the third-string babyface behind Hogan and Randy Savage. He did eventually become the promotion’s biggest singles star for a time in 1997 and 1998 and his Starrcade match with Hogan did a great buyrate, but that was a weird run in that it was built around Sting NOT wrestling, and it was also a short-lived run in that, by about halfway through ’98, the wheels had fallen off of the company and they were doing pretty miserably in 1999 and 2000 until the Turner organization mercifully took them behind the barn and shot them in 2001. Sting returned to professional wrestling on a regular basis in TNA, and, well, we all know that TNA was an unmitigated mess that never became anything more than a distant, distant second to WWE and eventually fell behind Ring of Honor in terms of market penetration. It’s OK to like Sting as a performer or enjoy his matches, but, on looking at things objectively, I think that you have to admit that several people have attempted to elevate him to a higher status in wrestling history than what he really ought to be credited with, which is one of the reasons why his potential induction into the Wrestling Observer Newsletter Hall of Fame was so hotly contested and he nearly fell off the ballot before finally being inducted in 2016. So, that’s my take on Sting. WWE generated controversy going to Saudi Arabia in light of recent real world events, do you think Kane’s current mayoral position will be hurt be performing there? Also, Kane just won his seat in the 2018 midterm election, and, though I don’t know how long a county mayor serves for in Tennessee, it’s a period of several years if it’s anything like most other elected offices in the United States. Kane won’t be facing reelection for quite some time, and his participation in the Crown Jewel event will no doubt be long forgotten by then. He’s gotten plenty of time to recover from any loss of political goodwill that he suffered. Finally, he also managed to give himself a good defense to any criticism he may face by arranging for WWE to make a donation to Knox County’s first responders in honor of his appearance in the Middle East. This gives Kane the ability to say that he was just doing the show for his local firefighters, and, if there is one group that everybody in the U.S. wants to see supported, it’s firefighters. Has any wrestler ever refused to work with another wrestler, or work again with a wrestler, because they were too stiff a worker? Guys like Vader and Stan Hansen, for example, always hit hard. So, has anyone openly refused to work with another wrestler? Yes, there are some examples of this occurring over the years. One of the most infamous incidents in which this took place actually involved two wrestlers refusing to work with each other in the middle of a match. Lex Luger was wrestling Bruiser Brody in Lakeland, Florida in January 1987, when, according to Luger, the Bruiser just flat-out stopped cooperating with him. The two were wrestling each other in cage, and, after consulting with referee Bill Alfonso, the Total Package decided that he had enough and just left the ring without there being a real finish. Though for years this story was told among “smart” fans as evidence of Luger being a pansy who was terrified of Brody, Lex gives a fairly reasonable account of events in the video linked to above, essentially stating that Brody’s behavior was bizarre and he had no idea “what he was on.” Looking at it from Luger’s perspective, walking out on the match may have been justified, because you don’t want to be in the ring with somebody who you don’t trust to take care of you. Here’s a name that you probably didn’t expect to see in response to this question: Ken Kennedy. During the encounter, Kennedy gave Orton a back suplex that Orton apparently felt was reckless and could have re-injured a shoulder that has given him difficulty throughout his career. According to Kennedy, Orton decided that he no longer wanted to work with Kennedy and Randy’s complaints to management lead to his termination. This may also have been affected by issues that John Cena had with Kennedy after Cena tore his pectoral muscle in a separate match that he had with Kennedy. Do you have other examples of wrestlers refusing to work with their opponents due to problems with their opponents’ in-ring style? Share them down in the comment section. Did Lex Luger ever actually succeed in getting the Giant into the Torture Rack? Though I couldn’t find any record of the Giant ever actually having submitted to the Torture Rack, Luger successfully got him into the hold on at least three occasions that I am aware of. At the 1996 Great American Bash, Luger and the Giant had a singles match for the Giant’s WCW World Heavyweight Title, and the finish was Lex getting the champion into the Rack for a couple of seconds before collapsing under his weight. The Giant hit a chokeslam after that, and that was all she wrote. WWE.com has footage of the closing moments of the match including the Rack. You’ll note that, in order to get the Giant into the hold, Luger did not lift up the Giant in the same manner that he would normally hoist opponents. Instead, he managed to get the Giant in a prone position across the top turnbuckle and lifted him from there. At World War III 1996, Luger and the Giant repeated the same spot in the titular three-ring battle royale, this time with Syxx quickly breaking up the Rack. Footage can be found on WWE’s YouTube channel. Finally, at Starrcade 1996, the Giant got Racked by Luger again, and this time Lex DID manage to lift the big guy up as he did all of his other opponents, without getting an assist from the turnbuckles. However, Syxx broke it up yet again. I don’t believe there is footage of that match available through official means online, but you can view it if you’ve got the WWE Network. Wait, did I just plug the Network? Apart from Scott Hall/Razor Ramon, can you tell me any main event level talent that NEVER appeared in an actual Royal Rumble 30-man match? This would be anyone with the company from 1988 onwards who had at least three years on the roster. Jacques Rougeau comes to mind, as I don’t recall The Mountie being in there, but I could he wrong. Any others? Oof, this took me a lot longer than I thought it would. As Dan notes, Scott Hall is commonly cited as the biggest star who spent a substantial amount of time in the WWF/WWE but never appeared in a Royal Rumble match, and it should be an interesting exercise to see who else has missed out on the world’s most famous battle royale. Though Dan asked about “main eventers,” I’m going to take a bit more expansive view of the question and look at a variety of stars who have had significant runs in the company but haven’t made it into the Rumble . . . because, let’s face it, being a main eventer is not exactly a prerequisite for appearing in the match. Kofi Kingston has eleven Royal Rumble appearances, for example, and he’s not exactly been at the top of the promotion’s cards for most of his tenure. Also, for the sake of clarity, I’m only talking about the Royal Rumble matches that have been held on Royal Rumble pay per view events or the 1988 USA Network special on which the first Royal Rumble was held. We’re not counting Royal Rumble matches that have been held on regular television house shows, or even the recent Greatest Royal Rumble. I will also be discussing only male wrestlers, because, at this point in history, we’ve only had one prior women’s Royal Rumble match held on the pay per view event of the same name. With all that being said, I think that Hall is definitely the biggest omission in Royal Rumble history. Dan is correct that Jacques Rougeau also never made it into a Rumble match, whether he was a Fabulous Rougeau Brother, a Mountie, or a Quebecer. His Quebecers tag team partner Pierre Carl Ouellet (now known as PCO) never made it into the match either, despite having been on the roster for the 1994, 1995, and 1998 installments of the event. Raymond Rougeau also would have been available for the 1988, 1989, and 1990 Royal Rumbles, but he was only in tag team matches on the ’89 and ’90 shows. In other words, I don’t know what the Royal Rumble has against French Canadians. One person that I was interested to see has never been in a Royal Rumble match is Shane McMahon. Granted, Shane has never really been a full-time professional wrestler, but he has been in and around WWE as a performer for long enough that I was a bit surprised to realize that there wasn’t some storyline or another that made him one of the thirty competitors in the battle royale. The Brooklyn Brawler is similar to Shane McMahon in a way. Granted, he was never the biggest star, but if you asked me without allowing me to do any research, I would have assumed that he would have snuck into match at one point or another, particularly when the roster was thin between 1993 and 1995. Similarly, The Genius was an opening match wrestler who could have snuck into any Rumble between 1988 and 1991, but he was not utilized. And, with that trademark list of Too Much Data, we will bring this edition of Ask 411 Wrestling to a close. As always, if you have questions that you would like to see answered, feel free to send them to here. Know that, if you send a question in, you may see it answered soon, because I’m making a concerted effort to answer at least a couple of questions each week that have been sent within the last month, if not more recently. This is especially true if the questions relate to current events.